Ashampoo Blog - Manager’s Corner: Did you know different websites consume different amounts of power? To protect our globe and, naturally, our health there have been an unending number of regulations, laws and labels. But the moving "spotlight" of science or the industry has not yet touched every aspect of our lives. Little by little, we analyze the world always looking for power hogs. But maybe some of these can be found in areas we never thought to look. When I heard of a test that proves different websites consume different amounts of energy on your PC, that was totally new to me. But then, the testers noticed that the subject (in this case a laptop computer) spun up its cooling fan with some pages but not with others. The first clue. Consequently, this raises the question why we put energy labels on our cars and fridges but not on websites. But first things first. So, some websites are more power hungry than others. Based on this assumption, the testers first created a stringent laboratory setting. The laptop was set at 50% brightness throughout the test. All applications were closed, backup mechanisms disabled and the battery was at 100%. Measuring commenced 10-30 seconds after each website request. (Source: http://santtu.iki.fi) x-Axis:websites from 3 categories ; Y-Axis: energy in watts. From left to right: New Scientist, BBC, Apple, YouTube, Google, Vimeo Video, YouTube video in fullscreen mode, Vimeo video in fullscreen mode, The Guardian, YouTube video, The New York Times. How do we interpret these results? What's striking at first is that video-heavy sites such as Vimeo or YouTube consume little more energy than text- or image-only sites. But there is a noticeable difference in power consumption across different websites. 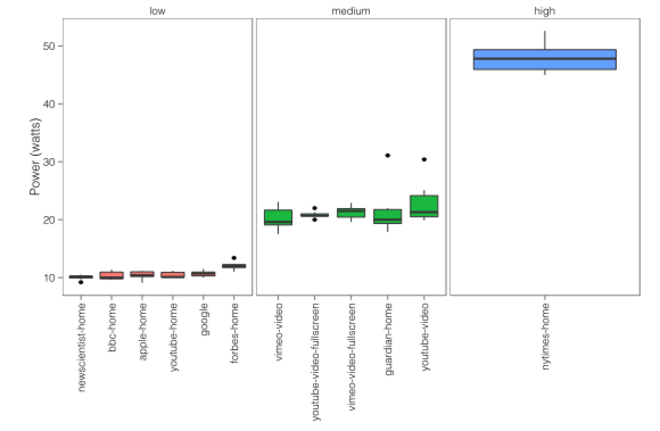 The most intriguing finding is the outlier, i.e. The New York Times, which drew the most power. Since this was a random selection it is safe to assume that there are other power hogs on the WWW. 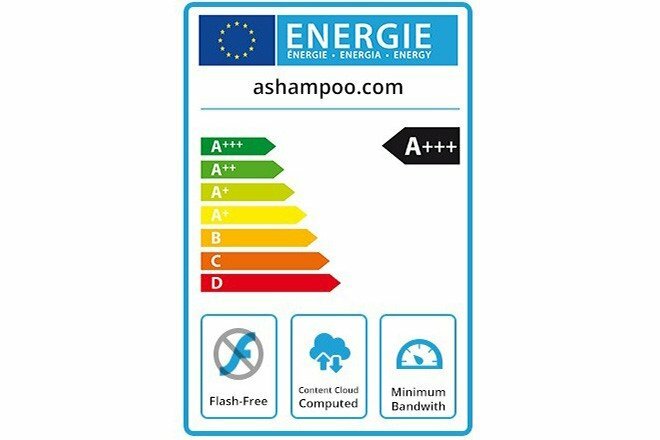 As stated initially, we label our products based on power consumption and that is the smart thing to do as it causes manufacturers to either improve their products or see them fade from the market. Take fridges, for example, that are labeled from A to A+++ with the difference amounting to as much as 33 kW h. Multiplied by the number of EU households this would mean energy savings of 790 megawatts if every household used A+++ devices exclusively. Let's apply this to the WWW: Assuming that 30% of the world's population spend an hour on the Internet each day, a difference of only 10 watts will amount to a total of 875 megawatts. This assumption isn't far-fetched once you consider that The New York Times consumes 20-30 watts more than Vimeo or YouTube. Taking all things into consideration, it is reasonable to call for website labels or at least discuss the issue. Mankind is trying to optimize power consumption for various areas. Why not include the WWW? Let's imagine for a moment that Google picked up on this idea and adjusted their rating system to accommodate for power consumption. Google applies a similar approach for other aspects. Loading times and responsiveness, e.g. on cellphones and tablets, already affects website ratings. Dear Google, please take a closer look at the above test. We think the idea of weeding out overly power-hungry websites is worth considering. 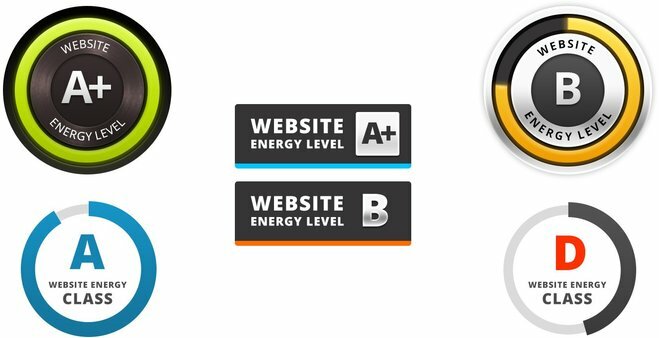 Since we are aware that you are always under a 100% workload we have taken the liberty to design a suitable label that helps Internet users tell the energy-efficient sites from the power hogs. We'll gladly let you have it for free to support a good cause!